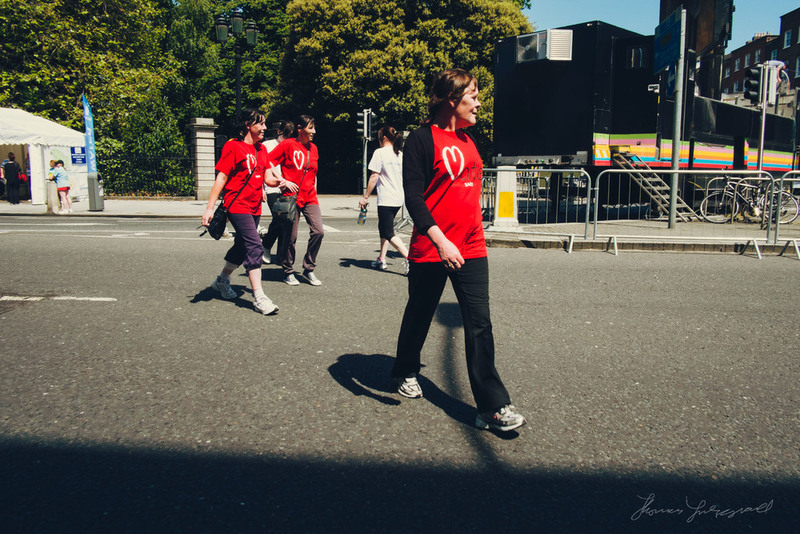 Every year on the June Bank Holiday weekend, Dublin holds its annual Women's Mini Marathon. It began in 1983 and since then the race has become quite famous. It is now the largest all women's event of its kind anywhere in the world. The race attracts runners from all over the country and the participants use the event to raise money for charity. According to the official website, the entrants raised €12million in 2012 alone, bringing the total raised by the event since it started in 1983 to €137million. I remember its early days quiet well as my sister participated in one of the first races. The city centre of Dublin becomes something of a carnival on the race day, with many people dressing up for the event as well as lots of buskers and street performers who are around. It's all good natured and good fun for all those who participate. I was in the city a few years ago and I captured some of the atmosphere on the streets after the race. Photos taken on a Fuji X-Pro1 - Processed in Lightroom using "Film Candy for Lightroom"
Today, the weather is not as nice as it was in 2012, but I'm sure that won't deter the lots of contestants taking part. I wish everyone who is participating this year the very best of luck.